What does it take for small and medium enterprises (SMEs) to apply for a loan? Traditionally, the process takes hours of filing paperwork and around a month of waiting for an institution to approve their application. Such loans are also only available to businesses that are at least three years old. And at the end of the process, releasing the actual funding takes several days. Patrick Lynch saw this as an opportunity for disruption when he cofounded Manila-based First Circle, which claims to be the first digital SME financing company in Southeast Asia. An Irish national, the former Morgan Stanley associate believes that the best way to empower small businesses is to make financing more accessible and easier to apply for. Incorporated only in March 2016, First Circle has a paid-up capital of Php10 million. 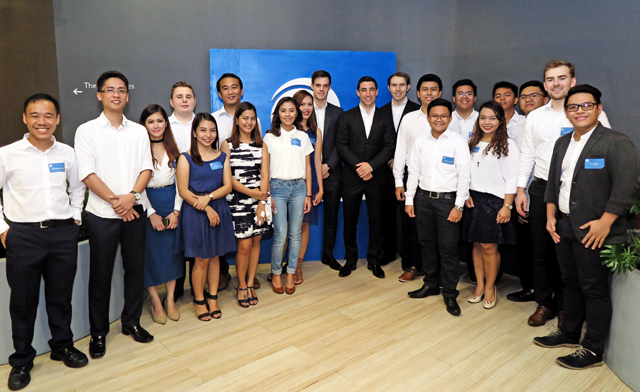 A Singapore-based company, Carabao Capital Philippines Pte. Ltd., holds most of the shares. Aiming to fill that role, First Circle has developed a system that shortens the process of filing for a loan by taking all the steps online. Interested business owners can open their accounts on First Circle’s websites and are able to submit all the necessary paperwork through the online platform within the span of minutes. The First Circle team then uses data analytics to process the information, and the applicant receives a loan offer the day after. The loan is then credited to the applicant’s account immediately after they accept the offer, which they can then transfer to their own bank accounts within minutes. “We’ve taken out a lot of the inconvenience and laboriousness of the traditional financing process,” said Tony Ennis, cofounder and chief technology officer of First Circle. “SME owners can complete the whole process without having left their business address,” added Lynch. The analytics behind the credit rating process also allows the company to adjust its loan sizes and rates based on the situation of each applicant. “We really endeavor to ensure that each client receives a rate appropriate to the level of risk in their business,” said Timothy Glynn, the company’s chief financial officer. The average loan size is Php1 million, with interest rates starting at two percent a month. Unlike most financial institutions, which usually offer a flat rate for all loan applicants, First Circle adjusts its loan rates as businesses grow. “We let clients with different circumstances borrow at different rates, and those rates improve over time based on financial progression,” said Glynn. The accessibility and flexibility of the process have yielded positive results for First Circle. Since the company’s soft launch last March, it has been able to finance close to 200 clients. Among these, more than 90 percent have applied for subsequent refinancing. Lynch categorizes the company’s clients into two general groups: those who export products, and those who import and re-sell products in online platforms. First Circle has also established strategic partnerships to aid in its expansion. The company has partnered with Lazada, the biggest e-commerce player in the country, allowing it to tap merchants selling in the platform. It has also partnered with Go Negosyo, a non-profit group that helps promote entrepreneurship, and PLDT’s Lendr to further widen its pool of potential clients. To aid in acquiring the information used for credit assessment, First Circle has also established partnerships with the industry association Philippine Exporters Confederation, the state company Credit Information Corp. and the Department of Trade and Industry. 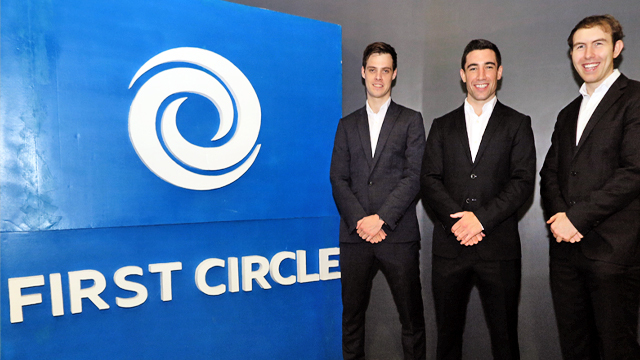 While First Circle is currently only serving clients based in Metro Manila, the company aims to eventually expand and accept applicants from the rest of the country. Lynch also says that international expansion is in the horizon, with the company looking to expand to other Southeast Asian countries by the end of next year. The company has also mentioned that it is keen on expanding its services beyond financing in the long term. “Ultimately we want to get very deeply embedded in the SME ecosystem in the Philippines and provide a whole range of services,” said Ennis.